Latin American streetfood from the very talented Tacu Tacu will be served from Thursday 11th - Sunday 14th February at Grow Hackney in Hackney Wick, E9. Thursday & Friday will be lunch and dinner, Saturday is lunch only, and Sunday is a long lunch (noon to 5pm) and chill out party. Top tip - try the Peruvian Octopus Burger! "Latin America streetfood outfit Tacu Tacu return to take up the kitchen at Hackney Wick's Grow bar between Thursday 11 and Sunday 14 February. On Sunday there will be a special Valentines chillout party event during the afternoon. 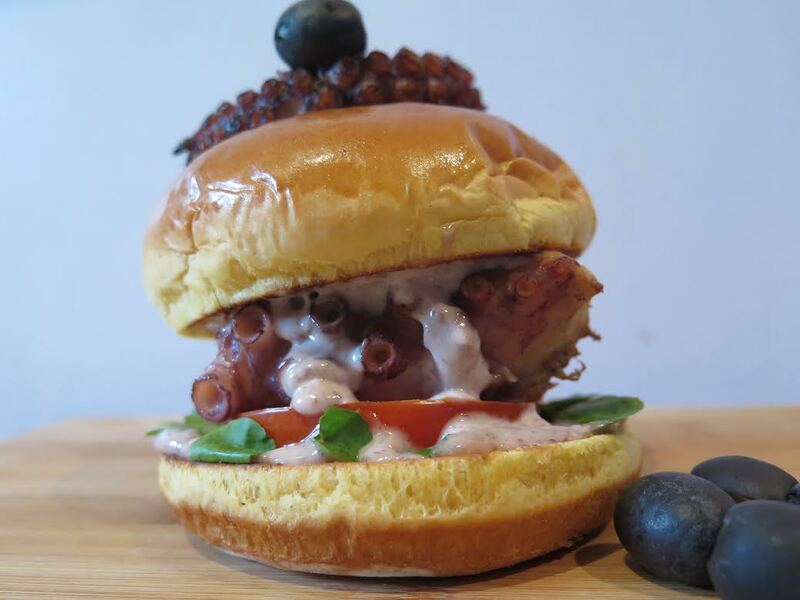 Expect an eclectic- colourful and innovative menu- highlights include the Chocolate Short Rib Tacos- Pina Colada Prawns- Banana Bread French Toast with Margarita Whipped Cream and who could forget that Instagram favourite Peruvian Octopus Burger. Tucked away in a yard in Hackney Wick, backing out onto the canal and carved out of what was once a sausage factory, Grow has been transformed into a totally unique bar, kitchen and creative space. Built and run by a small team and operating as an experiment in ethical and sustainable business, it's a space for music, art, conversation and good food where everyone is welcome." Booking - No booking but pls show that you're going to go on Facebook so that they can get an idea of demand!